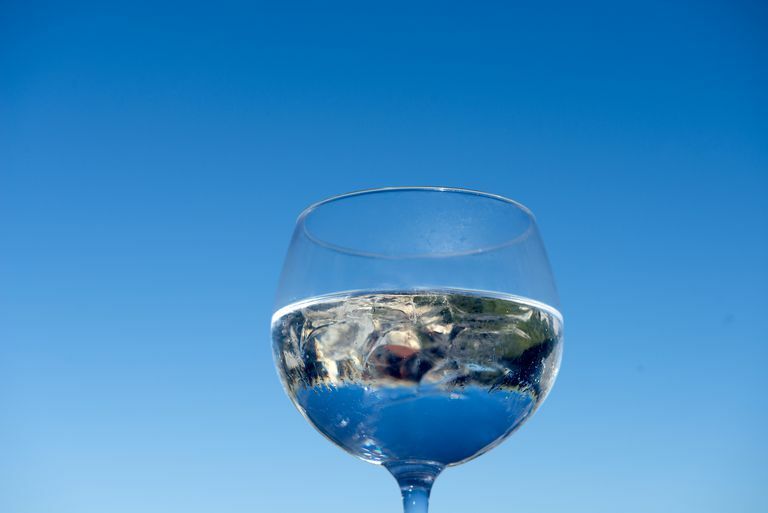 In many Pagan traditions—as in other religions—water is considered a sacred and holy item. The Christian church does not have a monopoly on the phrase “holy water,” and many Pagans include it as a part of their magical tool collection. It can be used in a variety of ways, but is often incorporated into blessings, banishing rituals or cleansing a sacred space. If your tradition calls for the use of consecrated water or holy water prior to or during ritual, here are some ways you can prepare your own. Much like sea water, home-made salt water is often used in rituals. However, instead of just throwing salt into a bottle of water, it is generally recommended that you consecrate the water before use. Add one teaspoon of salt to sixteen ounces of water and mix thoroughly—if you’re using a bottle, you can just shake it up. Consecrate the water according to the guidelines of your tradition, or pass it over the four elements on your altar to bless it with the powers of earth, air, fire, and pure water. You can also consecrate salt water by leaving it out in the moonlight, in the sunlight, or by calling upon the gods of your tradition. Keep in mind that salt is typically used to banish spirits and entities, so you should not use it in any rituals that call upon spirits or your ancestors—you’ll be self-defeating by using salt water. In some traditions, the moon's energy is used as a way of consecrating water to make it holy and sacred. You can leave gathered water outside for three nights in a row: the night before, during, and after the full moon. If you want to use your water specifically for attraction, leave it out during the waxing phase, and during the waning phase for banishing magic. You can also use the silver method: take a cup of water and place it outside on the night of the full moon. Drop a piece of silver (a ring or a coin) into the water and leave it out overnight so that the moonlight can bless the water. Remove the silver in the morning, and store the water in a sealed bottle. Use it before the next full moon. Interestingly, in some cultures it was gold that was placed in the water, if the water was to be used in rituals related to the sun, healing, or positive energy. When you’re making your own holy water for ritual use, you may wish to use different types of water, depending on your purpose. In many traditions, water gathered during a thunderstorm is considered powerful and potent, and can add a magical boost to any working you're doing. Leave a jar outdoors to collect rainwater during the next storm you have in your area - and its energy will be even more effective if there's lightning going on! Spring water is typically purified, and can be used in rituals related to purification and protection. Morning dew—which can be collected off the leaves of plants at sunrise—is often incorporated in spellwork related to healing and beauty. Use rain water or well water for rituals of fertility and abundance, although if you’re using it in your garden, do not blend in salt. In general, stagnant or still water is not used in the creation or use of holy water, although some folk magic practitioners do use it for other purposes, such as hexing or binding. Finally, keep in mind that in a pinch, holy water blessed by some other religion’s deity can be used, as long as your tradition has no mandates against such a thing. If you decide to visit your local Christian church in search of holy water, be courteous and ask before dipping a jar into the font; most of the time, pastors are more than happy to let you have some water.